Accent chairs provide the perfect tie-in to complete room decor. Easy to place and excellent for areas with limited space, they are both functional and decorative, making them a key piece of furniture to invest in. Below are five ways to select the best chair for your interior design. Chairs come in many shapes and styles. Anything from sleek and armless to oversized recliners are available. If your interior design is more modern, choose a wing-backed silhouette with clean lines. If your room is rustic, select a cozy option with a deep seat. Select a chair that features the same color palette as your room or one that is complementary on the color wheel. For example, if your space has a lot of blues, pick a bold, deep orange. If your other furniture is neutral, try an exciting floral pattern filled with deep greens and purples. If your chair will be in a family room and used by children and pets, choose fabric that is stain-resistant and durable. Avoid delicate materials such as suede or velvet in rooms with high traffic. 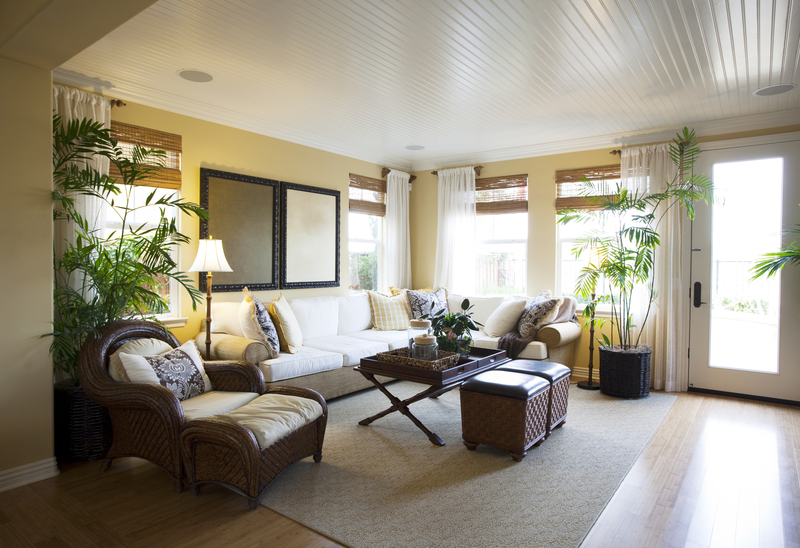 Those fabrics are best suited for formal living rooms, bedrooms, and other areas that see less wear and tear. You can also use fabric as a contrast to other materials in your room such as a leather accent chair against upholstered couches and love seats. Consider where the chair will be placed and what its intended use will be. If the accent chair will be set in the family room, something comfortable that also matches the rest of your furniture works best. If it is going to be set in a hallway or foyer, it is most likely a decorative piece that won’t see a lot of wear or practical use. Measure the spot in which you’ll place your new accent chair so you don’t purchase something too large or small. Also take into account the size of the room as well as the dimensions of other furniture in the space. Accent chairs shouldn’t clutter up a room. They should also be the same height as other seating. Since 1998, Beachside Furniture & Interiors has been Gulf Shores, AL’s top furniture store, offering everything from interior design ideas to stylish furniture for every room of your home. Whether you are looking for bedroom furniture or just a few accessories to complete you decor, their knowledgeable staff can help. They also offer outdoor furniture to make any deck or patio just as beautiful as the interior. Call (251) 968-2734 or visit them online or on Facebook. A. Beachside Furniture & Interiors Inc.